Early this morning, I woke up hungry, so I went straight to the kitchen and checked the cupboard. 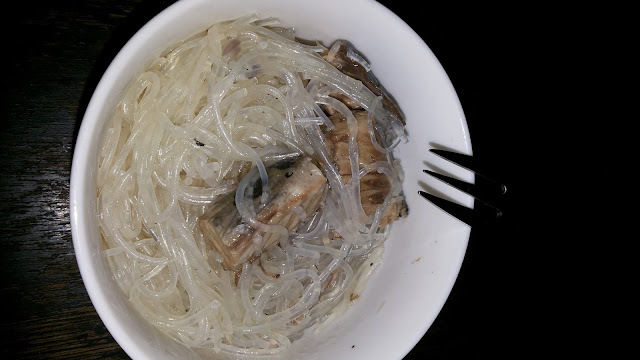 I found this 2 and made my quick mackerel noodles in few minutes. So easy to prepare! Just heat a small pan, put the mackerel, add 2 cans of water and let it simmer. In few minutes you may add the noodles. Mix it and let it simmer again for at least 5 minutes. Even a grade schooler can do the simple steps.That's eat! I learned this simple recipe from the egg vendor "my Suki". I always get my fresh eggs from her. She also sells some other food stuff including the glass noodles. I am not an endorser of these two products. It so happened that I discover this LIGO brand. 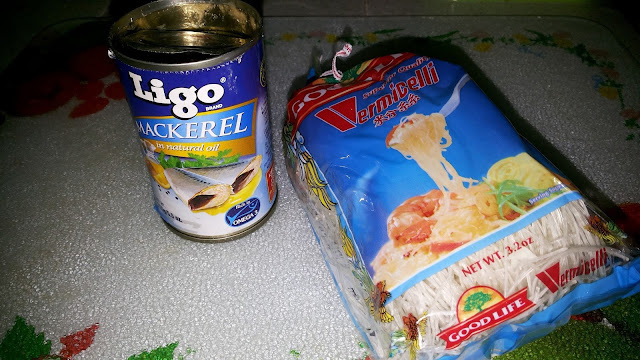 Their mackerel is not fishy smelling unlike other brands that I have tried before. Since then, I always include this on my grocery list.